I only read one sentence, on the perfusion method, and there’s an error in it. FAIR is a pulsed ASL (PASL) method. There are also continuous ASL (CASL) and pseudo-continuous ASL (PCASL) methods. I wonder why nobody from the dozens of MRI experts at Stanford was involved in the work? Not likely, not with voxels having dimensions of 1.875 x 1.875 mm in-plane. This is what happens when you let non-experts play with the fancy apparatus. Let’s face it, this entire piece of work is a pilot study and is blog- worthy, requiring much critical input (such as ours) before the authors scurry off back to the lab to reemerge in six months’ time with a final, actual conclusion. The digital world allows for the dissemination of information like never before. That is good. However, it is problematic when research is presented in a “one and done” and “take it to the bank” fashion. The exclusion of validity and reliability in the presentation, leaves the reader to believe the idea is generalizable. And, of course, all it really may be is one small study that means almost nothing. sorry about this…this was my first draft of my response which i didn’t think posted. Sorry for the duplication. Couldn’t agree more. We possess the ability to disseminate information like never before. That is good. But, it can backfire. Research that is presented in an article often presented in a “one and done” “take it to the bank” manner. There is often no discussion as to validity or reliability. What was once in an obscure journal awaiting more research, can go viral in a day–and presto we have trouble. I wrote a blog post on this as well. You can see it here. I am doubting the significance of the question posed and the application of findings. 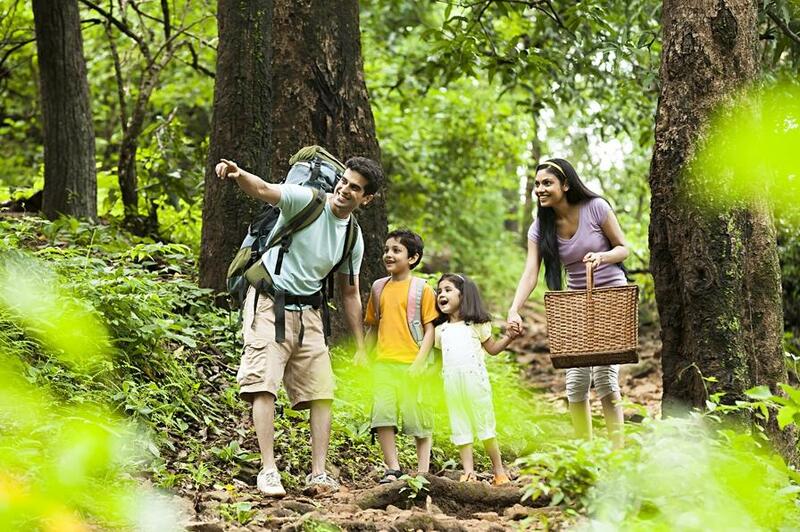 Nature walk may have a positive effect on emotional wellbeing of some people. I think that personal preferences related to background differences may play a role in this (were these people brought up in urban or natural setting? what are their preferred modes?). All that statistical analysis reveals in this case is the distribution of people numbers with nature/urban environment preference. If it is meant to be used in therapy, would it be not more valuable to test a particular therapeutic approach? It’s not clear that the imaging adds anything to this study. It is quite plausible that nice scenery improves mood to a greater extent than ugly scenery. But this doesn’t mean that nice scenery exterts a specific effect on brain activity. Any effect of nice scenery on brain activity might be a nonspecific, downstream effect of mood. We know that mood affects brain activity. Therefore anything which effects mood will also affect brain activity for that reason. We don’t need a brain scan to know that. If it turned out that a nature walk exerted a different effect on brain activity compared to another equally pleasant experience (a walk around an art gallery, say) then and only then could we say that nature has a specific effect on the brain. LOL what?? This metaphor doesn’t make sense on any level. I think you are seriously depressed and negative. May I suggest taking a walk ?! Someone on twitter also pointed out that the nature walkers had a higher level of rumination before the walk. As noted at to top of the PNAS article, this is a “contributed submission” by Gretchen Daily (see http://www.pnas.org/site/authors/guidelines.xhtml); this is basically a perk for members to get their stuff published easily. Uhhh… but wouldn’t a nice screen saver have the same effect? Watching paint dry? There seems to have been no attempt to design an experiment that isolates the obviously hoped-for contributing factor. I have another issue with the methods. While the walks were of equal length (5.3 km) and an equal duration (90 mins) was claimed, the urban walk necessitated multiple stops in order to cross intersections. I can’t thus see how the durations were actually the same, but that is a secondary point. The ability to wander while ruminating in the urban environment was interrupted by the frequent need to avoid being run over. To be equivalent, then, the nature walk would require multiple interruptions of thought necessary to preserve life. What if the nature walk had a few hazards posted along it? Encounters with a venomous snake or an angry bear, perhaps. How might the preservation of one’s life affect the rumination in nature then? Even if there is an effect, I would want to see an interrupted walk in both cases. A third category might even be considered: wander on a treadmill for 5.3 km. How does that compare to the urban and nature walks? I couldn’t help but notice that your blog post seems to have cherry-picked the non-significant findings and deliberately ignored the significant findings. Quoted *and highlighted* in the blog is the statement “This analysis revealed an interaction between time and environment [F(1,35) = 3.51, P = 0.07, eta-sq = 0.09]” (p. 8568). What is NOT quoted or even alluded to is the following statement, that appears one paragraph later: “sgPFC perfusion showed an interaction effect of time by environment, indicating an effect of the nature walk vs. the urban walk […F(1,29) = 23.41, P < 0.0001, eta-sq = 0.45]". Kind of important when you are assailing the worthiness of a publication to note all of the reported effects, and not just the one you think makes the authors look the worst, don't you think? No, actually I directly addressed the brain results in two different places. One, I note that it is curious the authors felt the need to stick to their NHST in one measure but not the other, and two when I accurately describe their intepretation of those results as reverse inference. Without a solid relationship to behavior those brain results in and of themselves are close to totally uninformative, and especially DO NOT support the claim that this study shows walking in nature reduces rumination and unhappy thoughts. I suggest you read the paper on reverse inference by Russ Poldrack, linked in the post itself. Also I’m not sure you understand what “cherry picking” means. The headline of the study is that walking in nature reduces rumination. The study only includes two variables – one brain and one behavior- and the key behavioral finding isn’t significant. Considering I discuss how neither of these findings tells us anything about the hypothesis in question, I’d hardly call that cherry picking. I think the entire study makes the authors look bad, not just their poor grasp of NHST. The study is poorly designed and the experimental hypothesis is barely operationalized yet alone the weak findings. I chose to focus on the p-value because frankly, it’s just a funny example of the overall failure of peer review going on with this paper. I’ve admired you for criticising bullying, intimidation and punching down in online debate. But then I read this post. How come the change in tone and approach? This post is from last year. I don’t see anything in this post that counts as the kind of ad hominem attacks I’ve spoken against. That being said, I’ve never said you can’t be a harsh critic of shoddy science. For what its worth the post is negative in tone and I made a new years resolution to be positive in my writing and social media activities. Sorry but I stand by this post and don’t believe it is an example of bully, intimidation, etc.